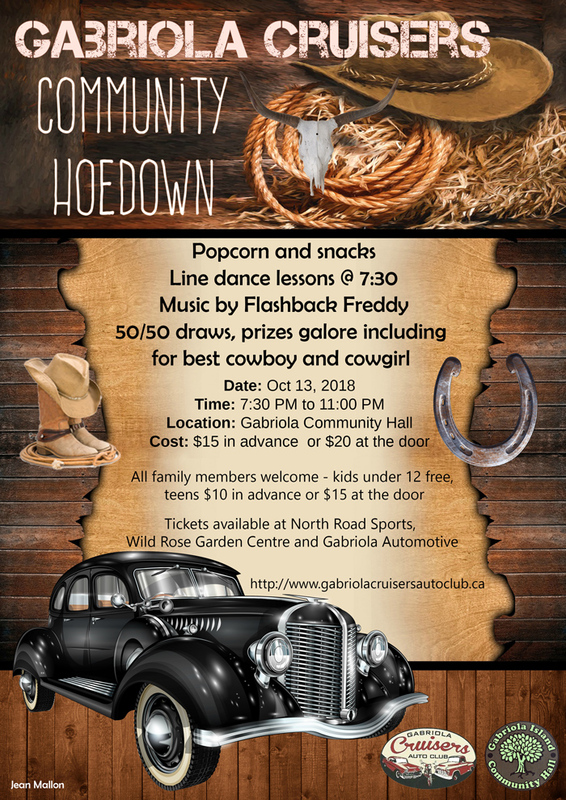 Community Hoedown on October 13th at the Community Hall. Get your tickets at North Road Sports, Gabriola Automotive and Wild Rose Garden Centre. A joint presentation by your Community Hall Association and the Gabriola Cruisers Auto Club.